A detail of a painting set in the early 1900’s. Notice the many colors on the sole of the baby shoes. 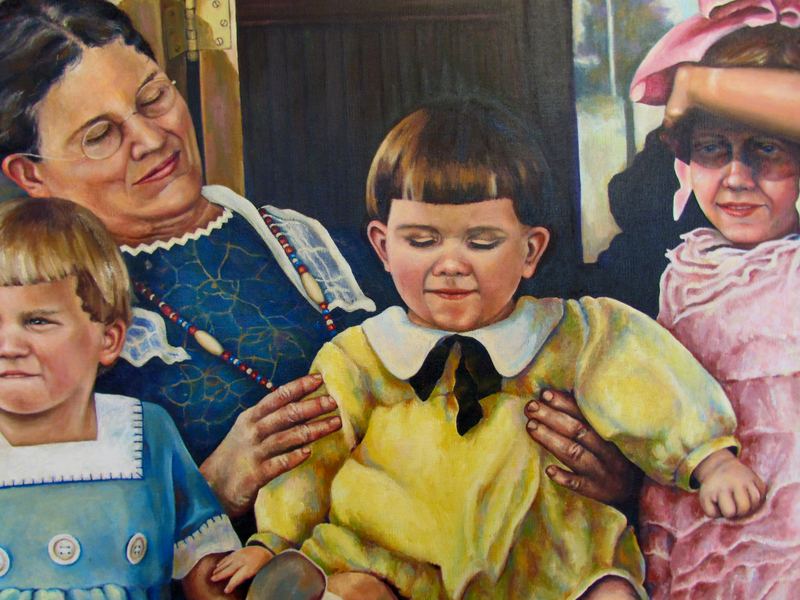 This detail of a larger painting is of a baby (an uncle of mine) named William whom I renamed “Charlie” when I was a little girl. Uncle Charlie fit his comical personality better. Sure do miss him. In last night’s Colored Pencil Drawing Class the subject was shoes. The students did a great job bringing all kinds of footwear to artistic life. When we think of shoes there is what we call the sole of the shoe. The word ‘sole’ or ‘soul’ is used in a couple of different ways. In ministry ‘soul’ is used to describe the spiritual part of a person which is distinct from the physical body. In art, the term ‘soul’ is used to describe a quality of work. For example, “that painting has a lot of soul.” It means that there is an esoteric quality that gives an artwork a deep or thoughtful essence. It is not just a surface representation of an object or a person but communicates more than meets the eye. A great example would be the famous Mona Lisa. People have been speculating about who she was and what was behind that mysterious smile for hundreds of years. There is more to art than creating beauty. Your work shares a part of you and a message about your outlook on life. So if you want to create great ‘soulful’ art, then also see that you are attending to your own soul.